A comprehensive developmental and behavioural assessment is the cornerstone of achieving successful outcomes and therefore unlocking your child’s full potential. However, accurate assessment is a complex, time consuming process that requires collecting information not only about the present but also across the entire arc of your child’s life. 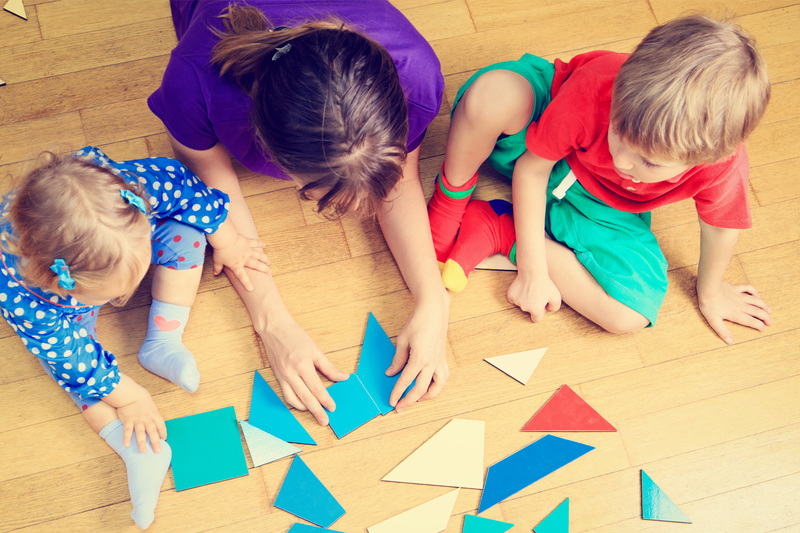 It requires a multifaceted assessment, collecting information about the physical, neurological, cognitive, language development, fine/gross motor, emotional, psychological and social dimensions of your child’s functioning. It requires collecting information from a number of different sources including the child, parents, teachers, other doctors and allied health professionals. An important part of the assessment process is the generation of a comprehensive Medical Report summarising all important aspects of your child’s history, assessment, testing results, evaluation, and diagnosis and outlining a proposed management plan. This is a vital document that carefully integrates all information into a coherent clinical picture of your child and will be used by your GP and all allied health professionals or teachers involved, to coordinate efforts and make sure “everyone is on the same page”. The number of consultations will depend on the complexity of the presenting problem and may take more than one consultation to fully evaluate your child’s difficulties, and develop an effective management plan. The length of the assessment may also vary with the child’s capacity to cooperate with some of the formal testing that may be required. While every effort is made to spend time efficiently, some children are very cooperative and engage easily, whilst others need more encouragement, support and time. Parents are encouraged to be present during assessments to ensure the child is relaxed and performing to their usual ability level. The detail of the assessment can be varied according to the child’s and family’s needs and priorities and we are happy to work with families to come to an acceptable arrangement in the consultation process. However, a rushed assessment may not entirely nor accurately capture your child’s difficulties. Time invested in a comprehensive assessment often saves considerable time down the track that may otherwise be wasted on unnecessary appointments, or on strategies that are poorly targeted and ineffective. A “standard” Paediatric consultation usually takes 30 minutes and a “review” consultation is around 15 minutes. 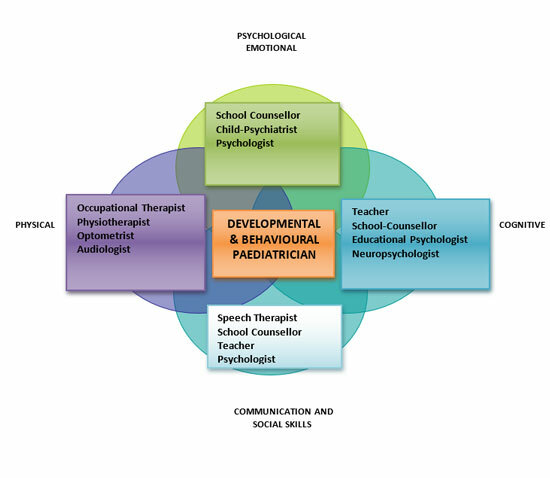 However, Developmental and Behavioural consultations frequently take longer than standard Paediatric consultations. Our experience has shown that initial consultations often take up to one hour. Furthermore, we realise that it often requires 2 or 3 sessions to get a full assessment of children with complex problems. We are happy to accommodate assessments according to your needs and offer different frequency of sessions accordingly. We recommend booking a few sessions in advance to ensure your requested time is available. WEEKLY or FORTNIGHTLY sessions can be arranged. FAST TRACK assessments are offered where the sessions are arranged on a daily basis over a 3-5 day period. EXPRESS assessments can be performed, meaning that up to 3 sessions can be booked for the same day. This has been especially valuable for our country or interstate patients. Our general experience has been that most children require 3 appointments for a comprehensive assessment, usually falling into an “initial interview, assessment and feedback session” profile. The initial 3 appointments usually take longer than a standard 30 minute session and so “extended” sessions (45- 60 min) are recommended to allow time to collect all the relevant information and discuss management details. Using “extended” sessions can also minimize travelling time and time taken out from school and work for parents. 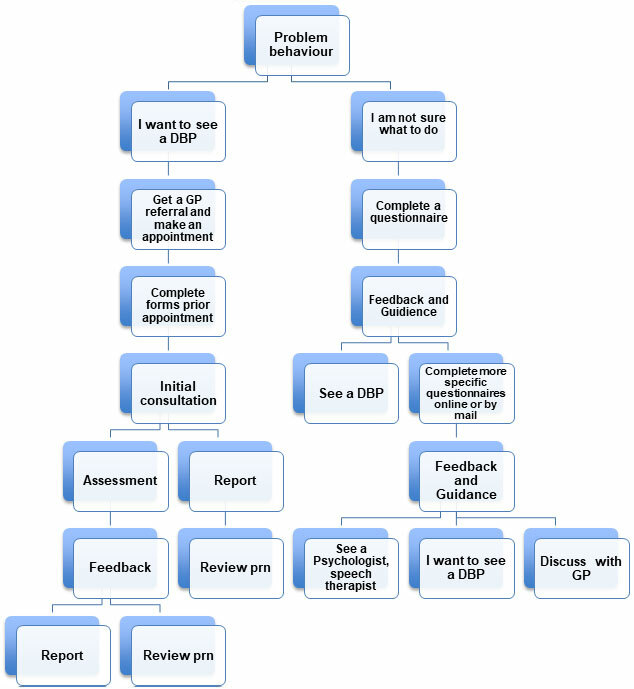 Follow up “review” appointments can be shorter depending on the children’s and parents’ needs and wishes.